When I arrived in Denver last year, the first thing I did was attend Denver Startup Week. It blew me away. After experiencing it, I decided to move to Denver full time, relocate Wampei here and sell my house. It feels great for Wampei to be a part of DSW after just one year here. 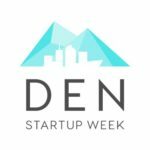 There are some great Denver Startup Week Blockchain / Crypto events, and pitches are coming up that I thought I’d share. I am excited about the BlockChain Hub. Wampei is a Gold Sponsor and we will be there helping merchants accept Bitcoin payments and getting new Bitcoin consumers started. It will be a 6-hour event where consumers will be able to install a Bitcoin wallet, load it with Bitcoin and buy drinks, art, and more (https://www.denverstartupweek.org/schedule/4903-blockchain-hub-presented-by-salt) — Thank you Salt! (2:00 pm – 3:30 pm on Monday 9/24). It is always great to hear Dan Shields talk. Joining Dan are a cadre of other super smart cryptoheads ready to explain (or discuss) it all. The folks from Jalapeno Inventive, Boulder Blockchain, and yours truly for Wampei talk about how their companies work on blockchain today. Anything that can improve our confidence in elections and make them more fair and accessible is a huge win for democracy (and all organizations actually). I do not know much about this one, but user-friendliness is certainly an area where Blockchain apps #fail often. A Pitch and a Hit! In a Non-DSW vein, be sure to check our recently relaunched website at https://wampei.com and let me know what you think about it. Our calculator is exceptionally snazzy and lets potential customers know how much they can save over Credit Cards with Wampei Register©. Feel free to reach out to me about all things Wampei and Cryptocommerce related! If you tweet out any of this content be sure to use hashtags #DenStartupWeek #Wampei.